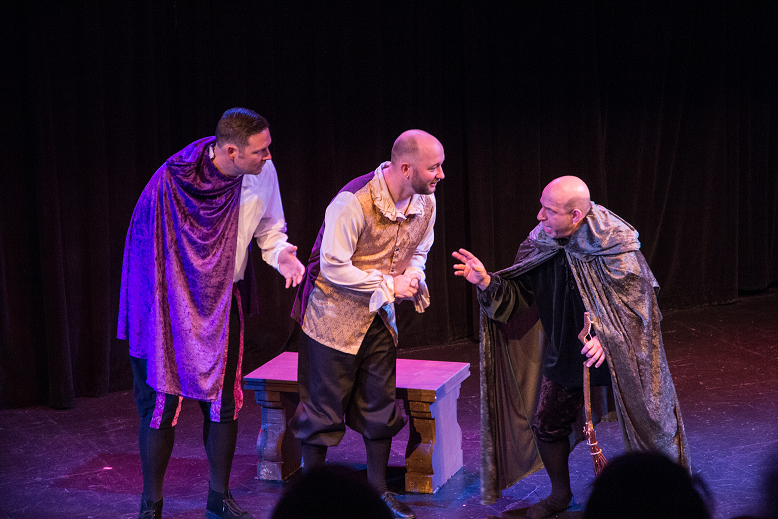 Wicked witches, hungry wolves, and malevolent spirits are running amok in Synergy Theater’s enchanted new adventure, Spontaneous Brothers Grimm: The Improvised Collection. Completely improvised and all based on audience suggestions, this frightfully funny collection of sweet, little fairy tales will catch you unawares, toss you in a cage and then eat you for dinner. So grab a basket of goodies for Grandma and head off into the woods with Synergy Theater and their hysterical homage to the magical and macabre world of the Brothers Grimm!